‘Lilengo’ or ‘barren soil’, is a place in Burkino Faso that was dry, there was not enough food and education was rare. 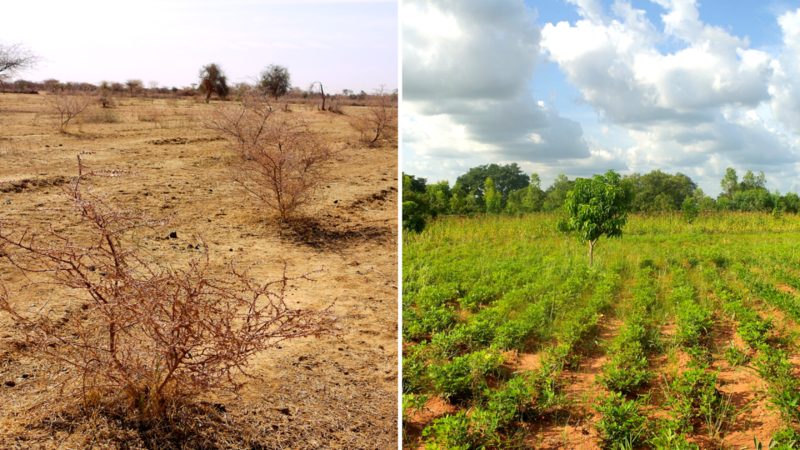 In 2014 Ecosia started to support the tree-planting program of the organisation OZG, or Ondernemers Zonder Grenzen. Now, three years later, this ‘barren soil’ is rich with life and progress. Education is rising for the boys and girls, people have jobs and food is growing. It is amazing how things can change by planting a tree. Want to help with planting trees around the world? By searching with Ecosia you do júst that!